"Let us hold fast the confession of our hope without wavering, for He who promised is faithful. And let us consider one another in order to stir up love and good works, not forsaking the assembling of ourselves together, as is the manner of some, but exhorting one another, and so much the more as you see the Day approaching" (Hebrews 10:23-25). Just a few weeks ago, earlier in September, we had a get-to-gether that we dubbed with the event title of “Jingle-Mingle-Mix”. 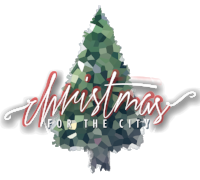 The goal of this event was to spark the Christmas cheer early in hopes to evoke hearts and minds to prepare and plan to be volunteers at our upcoming Christmas for the City which will be held on Thursday, December 20th. We wore Christmas attire, ate cookies, wrote letters to Santa, and we even sat on Santa’s lap (Yes, Santa traveled from the North Pole and came to the Jingle-Mingle-Mix)! But the best part about this event was the opportunity to mix & mingle with like-minded persons who want to make a difference in the City of Winston Salem by spreading the Good News of Jesus Christ by lending our hands of love. While this “Jingle-Mingle-Mix” was not held in a church building, but held at the Salt Box (a place of gathering of area nonprofits here in WS), we held to the advice found in Hebrews 10:23-25, “…to not forsake the assembling of ourselves together…”. I believe that when we come together we feel more connected, we gain inspiration, and we can look forward to Christmas for the City with an even greater expectation because we will be working alongside someone else who is helping to stir up love and good works in our city. We hope that if you missed this past Jingle-Mingle-Mixer that you will plan to join us at our next Pre-Christmas for the City event which will be held on Tuesday, December 4th at 5:30 pm. When we come together, we hear the stories of Christmas for the City past, and together we get to look forward to that big day which is approaching on Thursday, December 20th. We will hold fast to the hope that you will assemble with us on December 4th!